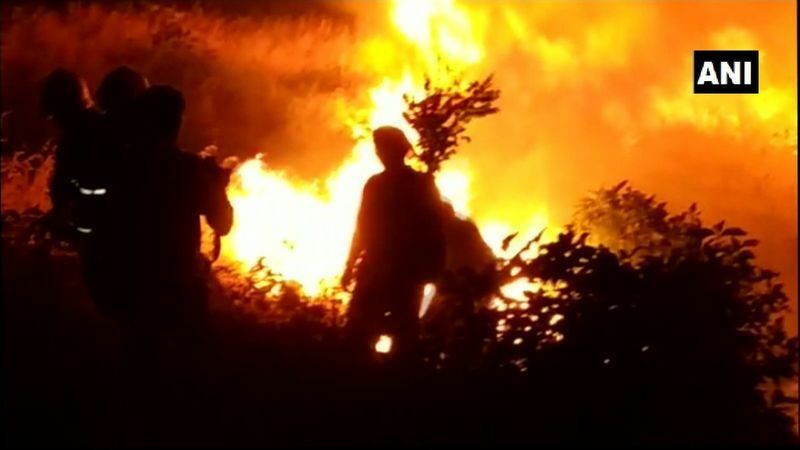 Firefighters on Monday doused a massive fire that broke out in a forest near Aarey Milk Colony in Mumbai's Goregaon East suburb. 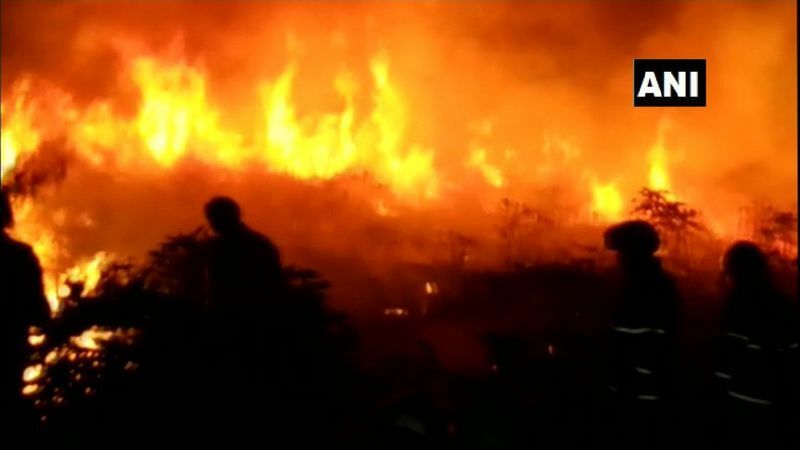 The fire, which spread in a 4km area, was reported at 6.21pm on Monday. 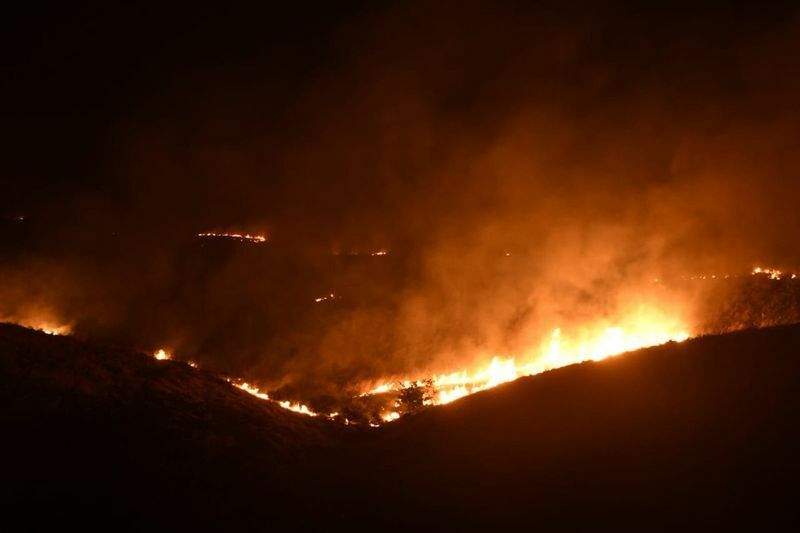 Initially, it was categorised as a level two blaze but was upgraded to level three blaze at 8.05pm. 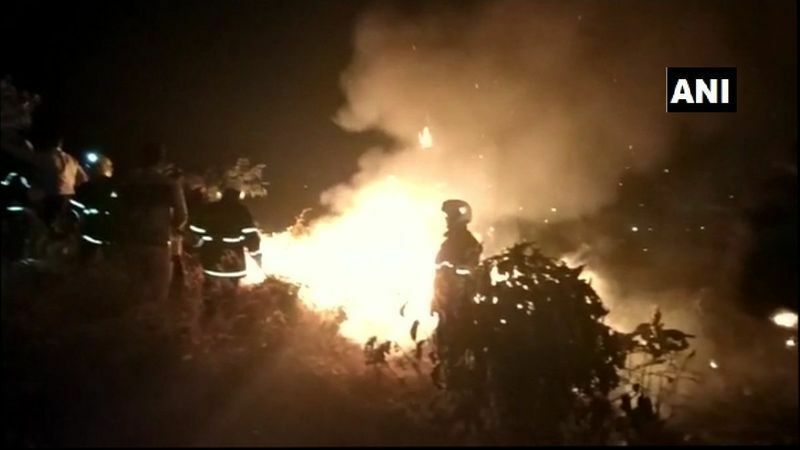 Ten fire engines, seven JTs and three quick response vehicles were rushed to the spot. 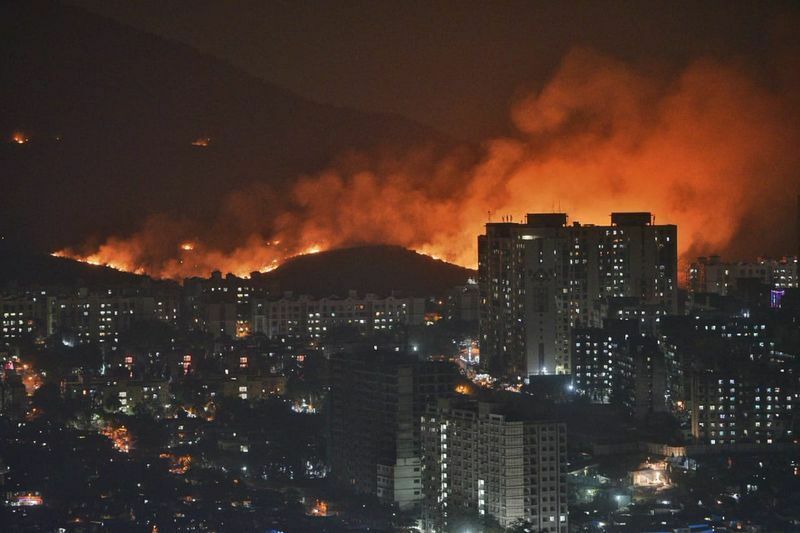 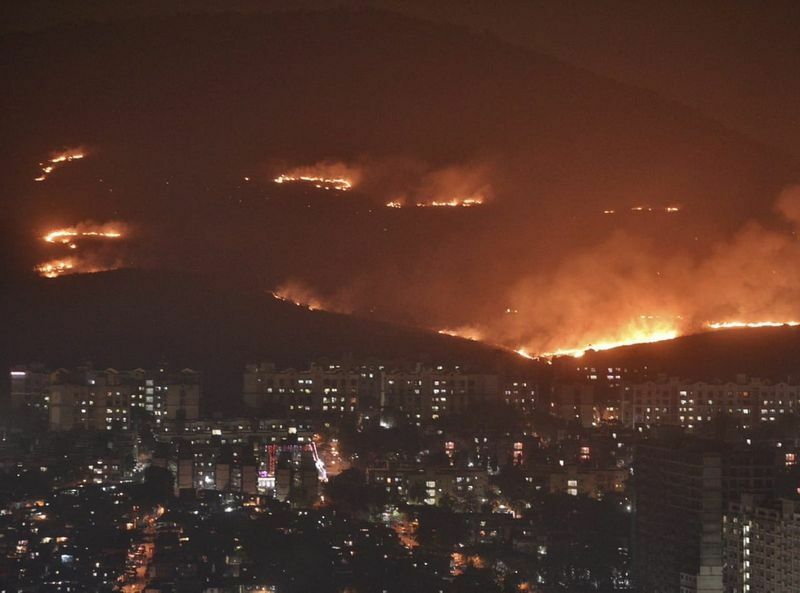 Brihanmumbai Municipal Corporation’s disaster management chief Ramesh Narvekar was quoted as saying by Scroll that the terrain made it difficult to reach the spot, but dousing the fire was easy as it broke out in an isolated stretch of land. 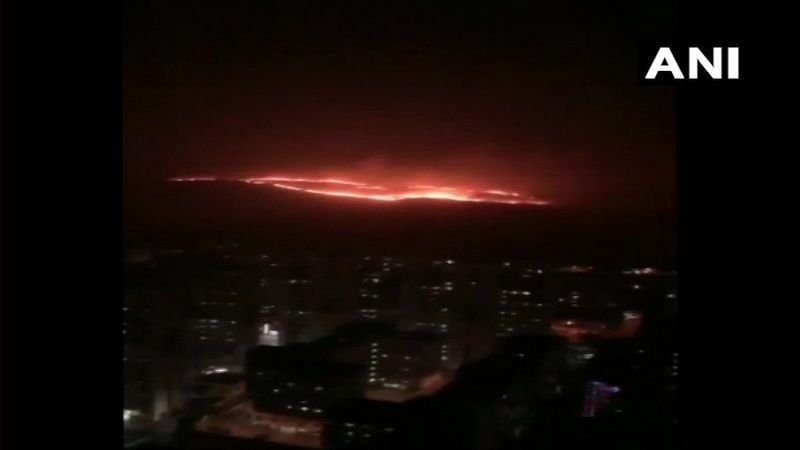 Rahangdale also said the fire started spreading towards residential areas such as New Mhada Colony near New Dindoshi Green Hill Society in Goregaon (East), but luckily, no casualty was reported.